Bring history back to life through Jim Hodges' historically accurate, exciting, and edifying audio recordings. Australia in the 1830s was a wild place. Reuben Whitney, escaping an inaccurate perception of him in England, enjoys an adventurous passage aboard the Paramatta, and sails "down under." Joining the police force, he makes his mark in conflicts with the Aborigines and Bushrangers. Finally, he saves the life of a squire's daughter who has emigrated to Australia following her father's financial ruin. This story is filled with adventure, close calls, and historical information about the early days of Australia! 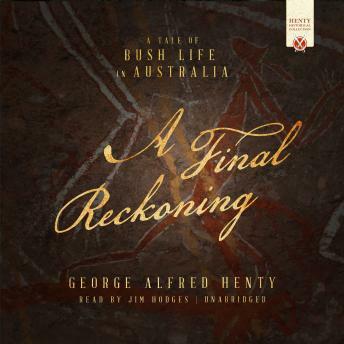 The Henty Historical Novel Collection, written by George Henty in the 1800s, covers many time periods in history throughout the world. In this collection, you will learn history, geography, and vocabulary while also discovering hero characters for your children to emulate. Study guides to enrich your learning experience are available at www.JimHodgesAudiobooks.com/product-category/study-guides.